Melania Trump's kidney procedure: How serious was it? Doctors explain why the first lady might have needed the procedure. First lady Melania Trump is resting and doing well at the hospital Tuesday after undergoing a treatment for a "benign kidney condition." 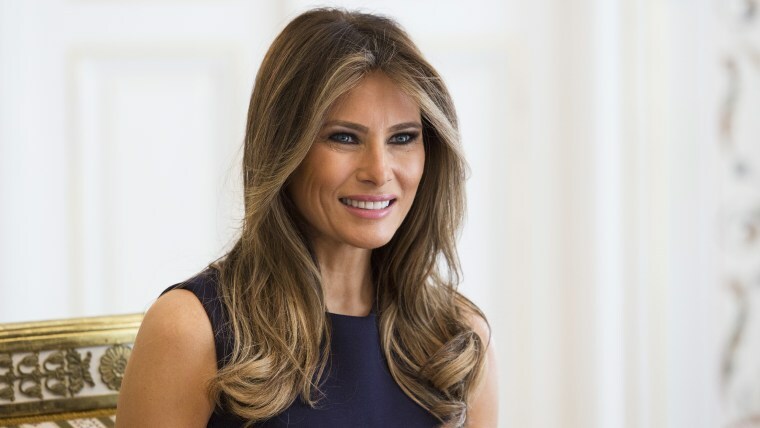 On Monday, the White House said the first lady was admitted to Walter Reed National Military Medical Center in Bethesda, Maryland, for an embolization procedure. This procedure is used to cut off blood supply in a blood vessel to prevent bleeding or to block blood flow to a tumor. It also might be used to stop blood flow if an aneurysm — a weakness in a blood vessel wall — threatens to burst. The White House said the procedure was successful and there were no complications. "The first lady looks forward to a full recovery so she can continue her work on behalf of children everywhere," the statement said. On Tuesday, President Trump, who visited her Monday evening at the hospital, tweeted Mrs. Trump, 48, was in "good spirits." NBC News medical contributor Dr. Natalie Azar explained why the first lady might have needed the procedure. The kidney is a complex organ and an embolization might be used to treat any number of conditions, from a growth to bleeding. "The reason to do an embolization of the kidney is to actually cut off the blood supply of one of the arteries in the kidney," Azar told TODAY. "Experts we consulted say the most plausible explanations are: One, there might have been a benign tumor in the kidney and when it gets to a certain size, it can spontaneously bleed. Or there might have been a blood vessel abnormality like an aneurysm, which can also bleed." Melania Trump's kidney surgery: How serious was it? In the case of a benign tumor, it can be asymptomatic or can cause some back pain or blood in the urine. Tumors are very often found during other screening. A vascular problem may have indicated a blood pressure issue, Azar said. It's a common procedure, with the patient typically staying overnight, medical experts say. "In a typical situation, if embolization is not being done for a bleed, it would be an overnight or same-day stay, but if someone had a bleed and that’s why they are having embolization, you might want to keep them longer," Dr. Ketan Badani, director of the Mount Sinai Health System's Comprehensive Kidney Cancer Program in New York told NBC News. The White House did not say why the first lady was likely to remain hospitalized for the next few days. Vice President Mike Pence told reporters during a speech Monday night that the medical procedure was "long-planned," according to the Associated Press. Stephanie Grisham, the first lady's spokeswoman, told NBC News on Tuesday that Mrs. Trump was doing well. She didn't respond to the vice president's comment.